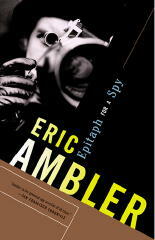 » UNCOMMONLY DANGEROUS: ERIC AMBLER ON TV, by Tise Vahimagi. 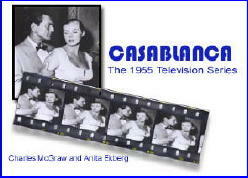 Great overview of Ambler’s television career. Of course his screen credits are better known for the most part. Probably his oddest credit was as director John Huston’s cameraman on the WWII documentary The Battle of San Pietro. Huston’s description of their relationship in his autobiography gives an interesting insight into Ambler. The article mentions Background to Danger, which should be mentioned is a good movie, but only vaguely related to Ambler’s novel. In the film George Raft is an American agent sent to Turkey to foil Nazi attempts to bring Turkey into the war on the Axis side. Peter Lorre and Brenda Marshall play the Zaleshoff’s, Russian agents who recur in other Ambler books (Cause for Alarm), and in the movie Raft romances Marshall. Sydney Greenstreet is the Nazi villain. Raoul Walsh directed from a screenplay by W. R. Burnett. Good movie, but only marginally related to the novel. 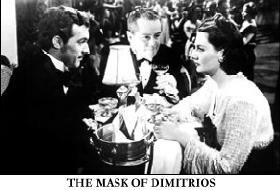 Mask of Dimitrios is a better film all around, with Lorre as Ambler’s Charles Latimer (another character who shows up many years later in The Intercom Conspiracy), Greenstreet as Mr. Peters, and Zachary Scott as the mysterious Dimitrios. French refugee director Jean Negluesco directed from a screenplay by Frank Gruber who later turned to writing international intrigue himself with some success. Colonel Haki of the Turkish secret police also appears played by Kurt Katch. 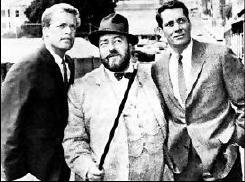 Orson Welles played the part in Journey Into Fear. The latter, directed by Norman Foster (likely with Welles assistance and or interference) is an even better film, though short, a perfect little spy film with a fine lead performance by Joseph Cotton as an American engineer who finds himself targeted by Axis agents. It was remade (badly) in 1975. The next notable Ambler film is Jules Dassin’s Topkapi, based on the novel The Light of Day, a comedic caper involved with stealing the royal jewels from the Topkapi palace. The film has been justifiably praised and involves another rare Ambler series character, Arthur Abdel Simpson (Dirty Story). At various times productions of The Night-Comers, Levanter, Passage of Arms, A Kind of Anger, and others were announced but never developed. 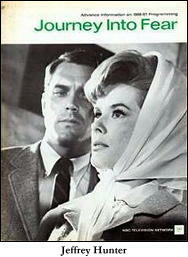 The film Cause for Alarm is no relation to the Ambler novel of that name. 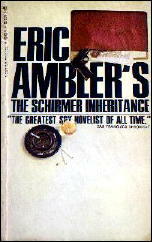 Ambler’s many screenplays include Shoot First, A Night to Remember, The Cruel Sea, The Wreck of the Mary Deare, and The October Man. 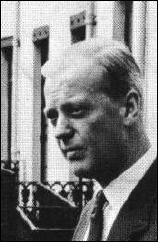 He was nominated for an Oscar for his adaptation of Nicholas Monseratt’s The Cruel Sea, and a BAFTA (the British Oscar) for the screenplay for H.E. Bates The Purple Plain. Re Geoffrey Household there are two other film references other than those mentioned in the article. Dance of the Dwarfs (1983) starred Peter Fonda based on Household’s novel, and Brandy for the Parson (1952), a sly British comedy about avoiding whiskey taxes based on one of his short stories. 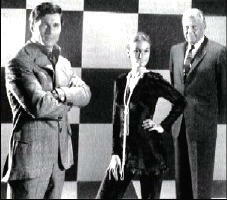 Deadly Harvest, the made for television version of the novel Watcher in the Shadows, is a simply awful film with Richard Boone, Patty Duke, and Michael Constantine turning Household’s novel about an Austrian who worked for the British against the Nazi’s and is mistaken as a war criminal by a lone avenger into some mishmash about wine growers in California and a European vendetta dating back to the Cold War. Everyone uses accents that can be cut with a knife and Patty Duke as a hippie is almost unbearable. Fine cast, but simply awful film — even for television — despite a teleplay by Dan Ullman and direction by Michael O’Herlihy. 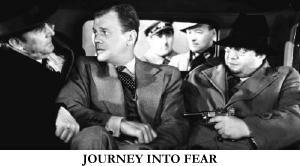 How can we get Journey into fear with jeff Hunter in Sellers market from the vaults..? There are a lot of Jeff Hunter fans in my area.